I’m sure you’ve all heard enough of this feckless woman’s words but the question warrants asking. What about “Women’s rights” and the #metoo movement? I know the answer as I’m sure you do. It’s simply the hatred aimed at our POTUS and the 1st family yet again. It’s the narrative that just won’t go away. 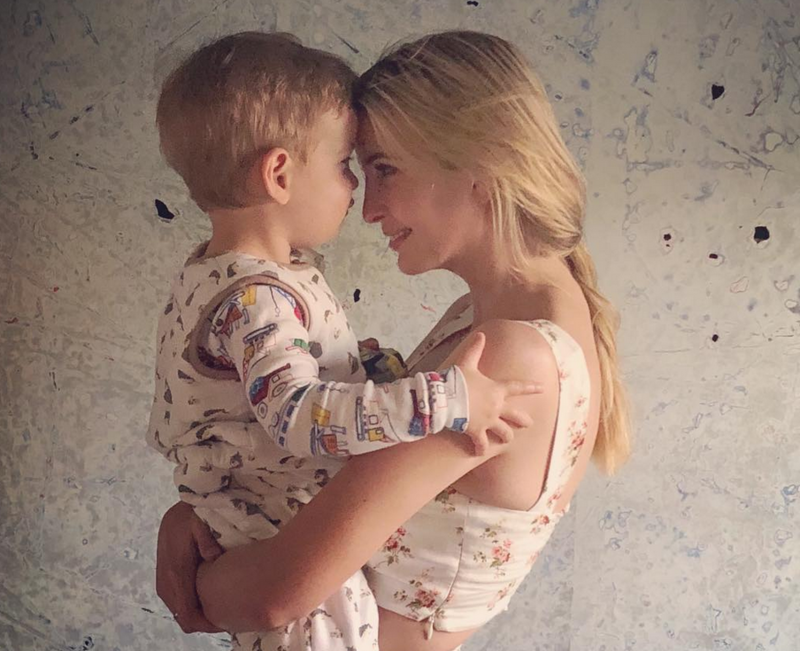 Ivanka Trump posted a lovely photograph of herself and her son earlier this week on social media. She was immediately attacked by liberals and the mainstream media for her insensitivity about immigration issues. Comedian Samantha Bee, the most notable critic, responded with the following remarks in the opening monologue of her show, “Full Frontal,” on Wednesday evening. “You know, Ivanka, that’s a beautiful photo of you and your child, but let me just say, one mother to another, do something about your dad’s immigration practices you feckless c—! “He listens to you! Put on something tight and low cut and tell your father to f—ing stop it. Tell him it was an Obama thing and see how it goes,” she concluded. But it’s okay, because Bee issued an apology the next day. Then TBS issued an apology. In fact, many celebrities threw their support behind Bee after her comments, including Cathy Griffin and Kathie Lee Gifford who spewed the expected party lines. It was Sally Field’s tweet, however, that really stunned. “I like Samantha Bee a lot, but she is flat wrong to call Ivanka a c**t.
How in the world is it okay to speak to Ivanka Trump, or any woman, like that in the first place? What would the media’s reaction be if similar comments were directed toward Malia or Sasha Obama? I can’t even imagine the outrage. Bee is a woman speaking to another woman using the most vulgar, degrading words possible. She even throws in a sexual innuendo about Ivanka’s relationship with her father. Bee’s remarks were planned and rehearsed. She intended to draw attention to herself, to show how bold she was to call the President’s daughter a feckless c**t.
I seem to recall millions of women, donning pink hats meant to resemble vaginas, marching in Washington and most major US cities on January 21, 2017 to stand up for women’s rights. I also remember a pretty powerful movement that began when accusations against Harvey Weinstein became public last year. If Bee was trying to make a political statement about President Trump’s immigration policy, she certainly fell short of that goal. Similar to the way a television commercial can be very memorable even though nobody remembers the product, all anyone will recall about Bee’s remarks is the language that she used, not what political point she tried to make. What will happen to Samantha Bee? Nothing. Nothing ever does happen to liberals who make mindless statements about conservatives. Consider the long list of celebrities who have faced minimal or no consequences for their thoughtless, and often hypocritical, utterances. Joy Reid, Michele Wolff (okay, I didn’t say major celebrities), Steven Colbert and Jimmy Kimmel to name a few. Today’s liberal double standard is breathtaking. Please watch Sean Hannity’s collection of outrageous statements by liberals that went unchallenged in this video. When Roseanne Barr tweeted an inappropriate remark about Valerie Jarrett on Tuesday, ABC immediately served justice. They canceled her show. Most liberals feel that was justified because, after all, Barr’s remarks were racist. Yes, there’s that terrible label again. Roseanne Barr, who seems genuinely sorry (and no, I am not a fan), gets thrown under the bus, but Samantha Bee becomes the left’s latest hero. This is not free speech. It is hypocrisy. This type of speech would positively traumatize most millennials and send them running to one of the new crying booths that have sprung up on college campuses this spring. The left’s support, or even their simple acceptance of Bee’s repulsive words to Ivanka Trump, negates all of their rhetoric about women standing up for women. This is not okay. They hate President Trump so much that it’s made them sick inside. And I have to wonder if liberals and their cheerleaders, the mainstream media, have all lost their minds. My advice to them: Get. Over. It.